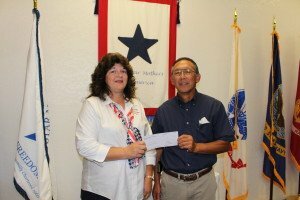 The Foundation made a donation of $1,000 to the Yuba-Sutter Veterans Stand Down in August of 2015. 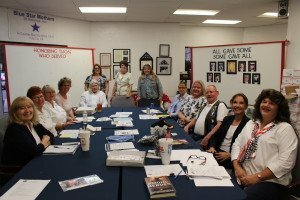 They provided services to over 1,000 veterans and family members, making the Yuba-Sutter Veterans Stand Down one of the largest in California. The original Stand Down for the homeless veterans was modeled after the Stand Down concept used during the Vietnam War to provide a safe retreat for units returning from combat operations. 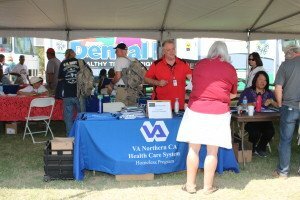 At secure base camp areas, troops were able to take care of personal hygiene, get clean uniforms, enjoy arm meals, receive medical and dental care, mail and receive letters, and enjoy the camaraderie of friends in a safe environment. 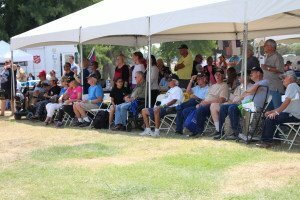 Stand Down is an intervention that was conceived from the ground up specifically for veterans. It is designed to transform the despair and immobility of homelessness into the momentum necessary to get into recovery, to resolve legal issues, to seek employment, to access health and benefits, to reconnect with the community and to get off the streets. 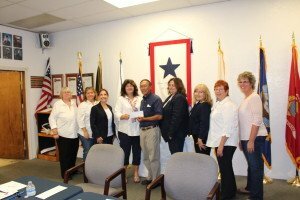 The Matthew Axelson Foundation presented the Tri Counties Blue Star Moms with a check for $1,000 to support their program of sending care packages to troops serving overseas. 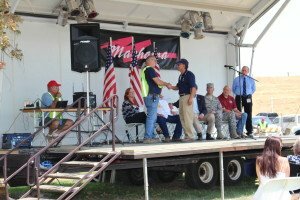 Each year they send 500 to 1,000 packages of snack and hygiene items to the soldiers. They also provide free “Mommy” and Daddy” dolls to children needing help dealing with the separation of their military parent. 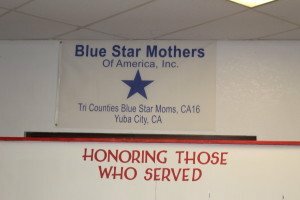 The group is a local chapter of the Blue Star Mothers of America, Inc. and was chartered in 2007. 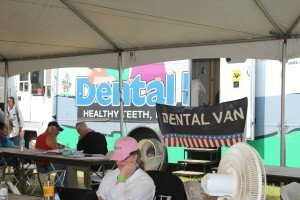 They serve Yuba, Sutter and Colusa Counties. They support each other, our troops, their families and our veterans while promoting patriotism.